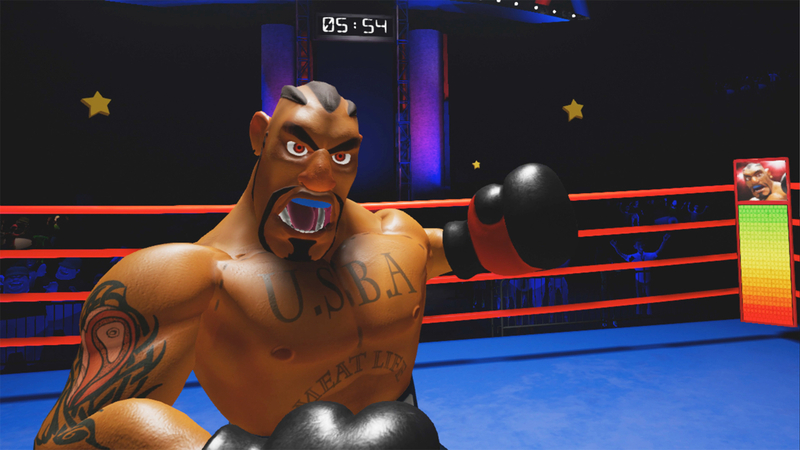 Arcade-style boxing game Knockout League is about to launch on PlayStation VR, marking the first title on Sony's VR headset from Vive Studios, HTC's in-house development and publishing initiative. HTC has been walking a different path to competitors when it comes to creating and funding game development. Oculus keeps certain games like Echo Arena and Robo Recall 'locked' to the Oculus Rift as exclusives, while a selection of PS VR games are solely playable on Sony's system. But with Vive Studio, HTC wants to actively build games for rival hardware platforms. "We don't want to use content as a weapon and block out people on other people from playing the content we create or help bring to market," Joel Breton, VP of global VR content for Vive, told Wareable. "We look at the whole VR market as our playground for content, and we certainly want to make a great Vive version. As far as providing it to other platform players, we don't want to punish them for choosing a different platform." Breton also said the company has no intention of creating Vive exclusives like other VR companies have done. "No, we don't really feel like that's where the market's at," he said. "Maybe down the line in a few years, certainly we'll keep our eyes open on the market and see if it makes sense then, but at this early stage of the market we just don't feel like its good for us as a revenue-creating business or for our developers, who we're trying to help create revenue. "We could have taken the view of 'Hey, we helped to bring this piece of content to life and bring it to the market and so we'll block everybody else out. But we didn't feel that was the right strategy." Breton said that Vive Studios plans to launch more games on PS VR "throughout the year" and that the studio will look at games at a case-by-case example to see if they're workable on platforms like PS VR. "Obviously not every game is going to fit on every platform, so we're not going to try to force it, but if we can look at it and say, 'Yeah this mechanic does work on this platform with their features then let's do that." When we asked about the business rationale, Breton also said that he sees Vive Studios as a label not just for creating revenue from the Vive headset, but for the studio itself. "If I only have a certain percentage of the market to go and do that with, I'm limiting my profitability and my revenue. So by not doing that I have bigger potential for revenue and profit, as both my own publishing label but importantly for my developing partners too, because I want them to succeed and grow into strong businesses." Oculus, on the other hand, thinks exclusives are good for its business, though it isn't pushing against hacks like Revive that let Vive owners play Rift exclusives. "We're absolutely not actively fighting that," Jason Rubin, head of studios at Oculus, told Wareable, last year. "Anyone with double thumbs up is on a Vive - because they can't put their thumbs down." That, however, may soon change.